Is The “New” Milk really Healthy? Is milk really necessary for an effective weight loss plan? 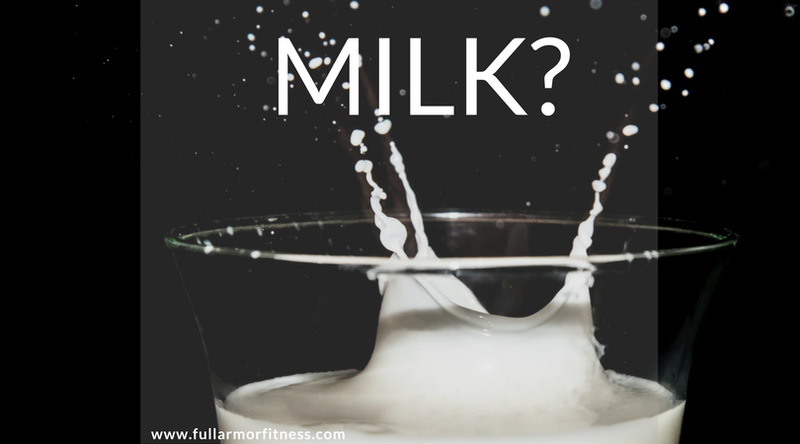 Do we have to drink our milk each day to get a sufficient amount of calcium? The answer to both of these questions is NO. We do not need to drink milk as part of a healthy weight loss plan or to obtain a healthy amount of calcium each day. However, in its natural form it’s one of the best creations God has given us. 3. Pasteurization also makes the major part of the calcium contained in milk insoluble, in other words making 50% of milk’s calcium unusable by the body (This contributing to the high rate of osteoporosis). How could this all be true? Isn’t milk supposed to do a body good? Well, yes it does, but milk was really only intended to be consumed in its natural state (unpasteurized). Since pasteurization there have been many proven pitfalls since in the quality of the final product. Most organic farmers and a majority of regular farmers drink it right from the cows – with out any pasteurization – and they are extremely healthy. The other fact we need to consider is that most cows are being given an excess of growth hormone just to keep them producing massive amounts of milk. This, in turn, makes them sick, at which time they are given antibiotics. The growth hormone and antibiotics get into their blood stream and then into the milk they produce. Who drinks this chemical laden milk? We do! (Actually, I try not to and maybe you’re starting to consider whether you do). I saw a fantastic review of this on a youtube video Jordan Rubin & Dr. Pompa – Google it if you get a chance. The next big concern is “How will I get enough Calcium?” As mentioned above, most of the Calcium in milk is not absorbed by the body. More calcium is absorbed from foods such as green leafy vegetables, broccoli, sardines (with bones preferably) and salmon. This makes sense that more calcium come from greens since cows preferably eat grass and they have a lot of calcium inside their bodies (Please don’t eat grass. This really only works for cows). 3. Since most of milk’s calcium is not absorbed by the body, make sure to get your calcium from these other sources: leafy green veggies, broccoli, sardines (with bones) and salmon. 4. Commit to a strength training routine on a consistent basis. Not just for your muscles and for the way you look in the mirror (although this does help) but for your bone’s sake. If you are lactose intolerant, know that milk, and dairy for that matter, do not have to be a staple in your diet in order to absorb adequate amounts of calcium and achieve an ideal level of health. You can establish and extremely healthy way of eating, reach your weight loss goals, and feel great each day without drinking milk. However, I do encourage you to support your local organic dairy farmers! ⟵Coffee: Good or Bad for your Health?